CIRCA 1918 - A demolished bridge is shown in war-torn Stenay, France. hd04:59CIRCA 1940s - Fire in a storage warehouse in New York City in 1926.
hd03:29CIRCA 1910s - The Sierras of California in 1920.
hd00:26UNITED STATES 1940s: Long pan of forest, cleared area. 4k00:261930s: Mountains. Hotel. Rushing water. Woman and girl walk along path. hd00:131970s: Toddler walks through field, falls down. Dog follows child. Men sit inside, drink and talk. 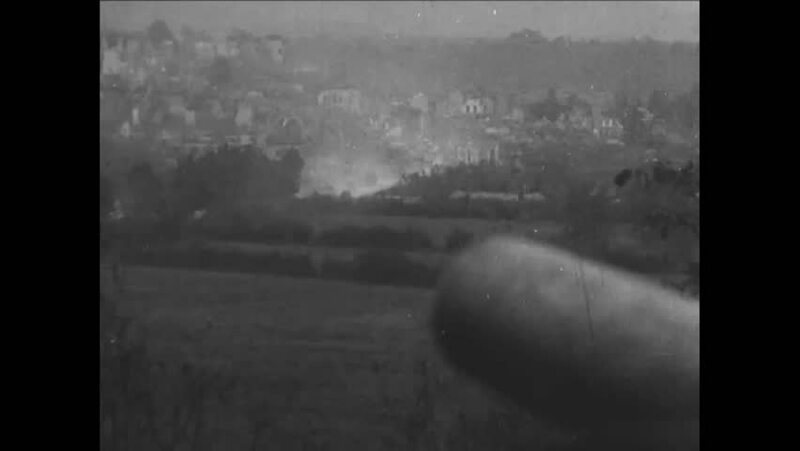 hd01:04CIRCA 1918 - A panorama of France's Champagne district is shown.